Driving from Nowy Sącz to Krynica down the road no 75, after traveling 6 km there lies Nawojowa. In the place you have to turn right to the second bridge, right after the bridge with the signpost indicating the way to Żelaźnikowa. After a while you must turn left into the gate in the park and drive along a cobbled road up the hill to the very palace. In the years of 1580-1590 when the village belonged to Piotr Nawojowski, he put up a manor in the place where currently the palace stands. In 1595 the village became the property of Grzegorz Branicki, and already in 1601 Lubomirski family kept them under control. These ones gave up Nawojowa to Sanguszek line so as to again become its owners. 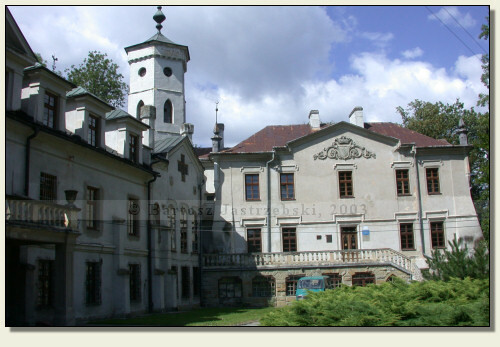 In 1763 the village came into an ownership of Józef Massalski, and in 1799 was sold to a count Franciszek Stadnicki. It was exactly this family, who enlarged the manor giving it the mold of the palace. 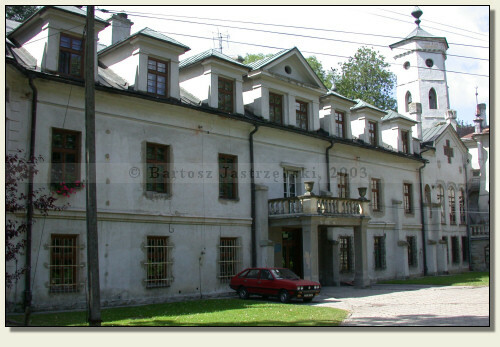 Nawojowa was Stadnicki’s property to the 40s of the XXth cent. In the time of the last war the German armies were stationary in the palace, and in 1945 the lands together with the building were taken over by the state. 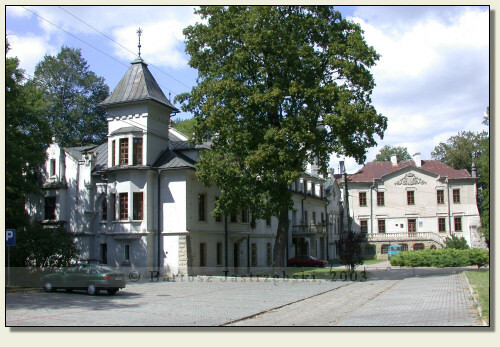 Since 1982 the Public Farming Vocational Secondary School had its registered office in there, and at present the Center of Agricultural Consultancy of the Lesser Poland as well as the Agency of Restructuring and Modernization of Agriculture are placed in it.